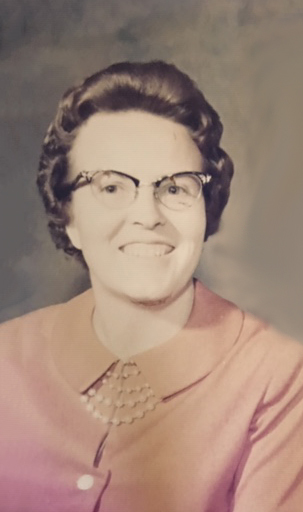 Dorothy Mae Jessen Forbush Winn passed away peacefully, February 4, 2019 in American Fork, Utah peacefully surrounded by her family. She was born April 8, 1932, in Glenwood, Utah to James Oscar and Marjory Payne Jessen, the oldest daughter of five children. She faced life’s challenges with a sunny disposition. Her father passed away when she was five and her mom by the time she was sixteen. After her parent’s deaths, she was raised by an aunt in Monroe and graduated from South Sevier High School. She married Eugene "Gene" Forbush in 1950 in the Manti Temple, and they had three children together, two died at birth. After Gene passed away at age 40, she married Lathael "Buzz" Winn in 1968 in the Manti Temple. He also preceded her in death. Dorothy loved serving in her church and community, including Daughters of Utah Pioneers. She survived cancer multiple times and worked many years as a lunch lady at Monroe Elementary. She enjoyed serving in the Manti Temple and loved playing games with her family. She is survived by her sons: Steven (Sherry) Forbush and Larry (Carmen) Winn; stepsons: Bill (Ruth) Winn, Randy (Janice) Winn, and Tracy (Lori) Winn. She left a large posterity of 20 grandchildren; 47 great-grandchildren and 7 great-great-grandchildren. ; brothers: Gordon Jessen, Eldon Jessen. She is also preceded in death by her parents; children: Janine Forbush, David Forbush; siblings: Val Dean (Nora Mae) Jessen; Janice (Dean) Evans; and daughter-in-law Sherry Forbush.